Toby Meyer salon owner, started in the Industry in 1991 training with a salon group called Essanelle. Whilst working at an Essanelle Salon in his home town of Eastbourne, he studied at their training centre on the top floor of what was then, D H Evans Oxford Street. He has also studied with some of the biggest and best names in the industry including, Wella studios, the Vidal Sassoon academy’s, the L’Oreal and Redken studios in Kensington, now Hammersmith, where he has continued to grow his skills in Cutting, Finishing and Colouring for Men & Women. Toby has put his experience to good use as the proud owner of Ministry of Hair Salon, manager to a Team of 25 made up of Stylists, Assistants and Salon co-ordinators since 1997. Winning Best in Customer Care Award in 2015/16. He loves nothing more than looking after his Valued Clients to the Salon for all their Hair needs in Cutting, Colouring and Finishing. A firm believer in Education being the key to change and growth. Toby has been a Redken Artist since 2000 and has Hosted, compared and worked Main Stage at many Redken Shows and International Events, including Tribe, Connects, Fashion Shows and Session work. Since 2011 Toby has been part the Redken International Team, working with our Redken family all over the world, including the Euro symposium Berlin , Main Stage UK Symposium in London, Look & Learn Shows in Ireland, Holland, Singapore and other European countries. Toby is a Redken facilitator in the UK in Creative Design and Mens’s Barbering due to his Creative, passionate and energetic approach. 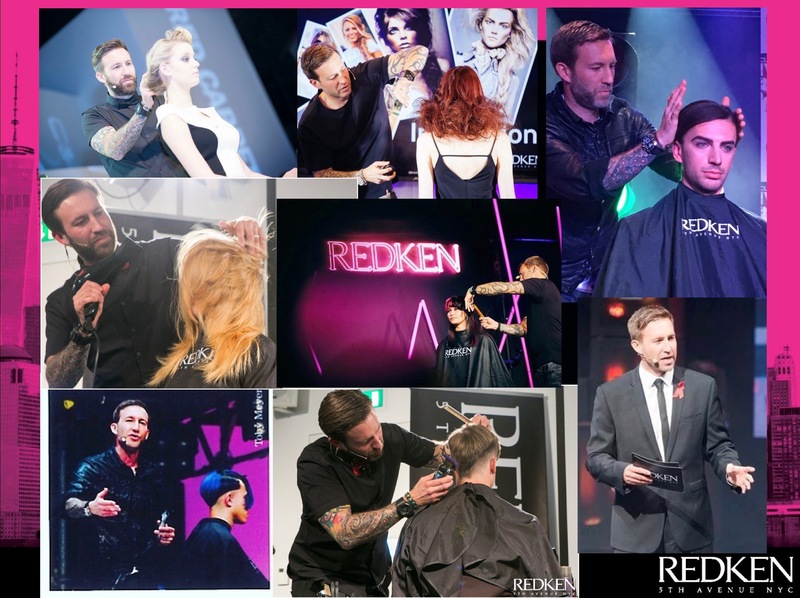 Toby represented the UK at the Redken International Symposium in Las Vegas with 10,000 people attending, with Gentlemen’s Club at the 2015, along with Client Matters at the Redken Symposium On Tour in Barcelona 2016 with audiences of 3000 people. He was the guest Artist at Hair Club Live in 2016, Showcasing men’s UpDo’s. In January 2017 he returned to the Main stage at the Redken International Symposium for the Redken Man Class, with the latest looks and techniques for Men. 2018 has been busy working in Manchester and trips to New York. He is also off to Sweden and Bulgaria later in the year and Returning to Vegas in 2019 for a class called Hair Hacks Class. He welcomes and invites new Guests to the Salon so he can give you the Care, Attention, Experience and skill you deserve for all your Hair Needs. 38a Cornfield Road, Eastbourne, East Sussex, BN21 4QH.